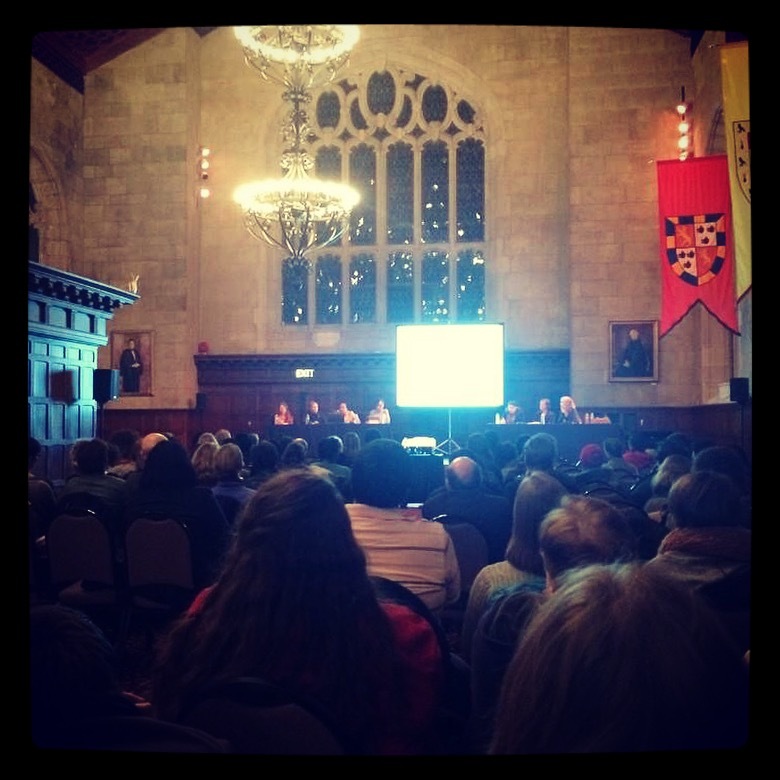 Bryn Mawr Teach-In, November 2014. What happens when institutional history, part of that solid “foundation” on which our academic prowess and our identity are built, poses an impediment to our efforts to hold our community and ourselves accountable in matters of privilege and power? It can be a struggle, especially at historically elite institutions such as Bryn Mawr, to align current practices and espoused values with the desire to honor institutional histories that are often histories of exclusion and violence. This dynamic played out recently at Bryn Mawr’s Teach-In on Race, Higher Education, Rights and Responsibilities, a program offered by the Bryn Mawr Undergraduate Deans’ Office. The panel featured presentations from five speakers on different aspects of race in higher education, both in history and in current campus climate. Among the speakers was our Director, Monica Mercado, who provided “(A Short, Incomplete, and Often Invisible) History of Race and Higher Education,” that drew on the work of activists and scholars including Dean Spade, Craig Wilder, and Martha Biondi. 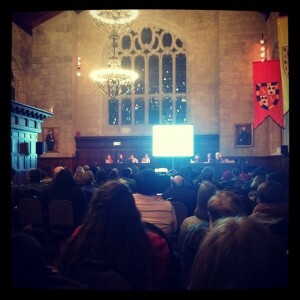 The event grew out of a series of conflicts and conversations this past semester in which Bryn Mawr has grappled with how to create a space that supports and acknowledges all members of its diverse community, a dialogue that has taken place both physically and in distributed forms online. The structure of Monica’s dual role as historian of education and digital representative, both on the panel and in her greater capacity as Director of the Greenfield Digital Center, speaks to the ways in which digital tools and culture are being recognized as integral to current dialogues about race, history, and community. An audience member’s question to the panel called for discussion about how social media an important role by spreading, but also complicating, the conversation. Value placed on a diversity of perspectives and skill sets, and initiatives that gather these diverse groups on collaborative projects. Kim’s article argues that, despite their stable and hierarchical structures, universities may in fact be “the best place to embrace, and participate in” digital innovation (emphasis mine). My hope is that we can say the same about the difficult work of social progress. Despite the unique challenges posed by their privileged histories, colleges and universities still serve as loci of radical thinkers who drive change through bold critical inquiry and campus activism. And because college populations are small and self-selecting, they tend to foster introspective environments that are invested in consciously shaping their cultures. 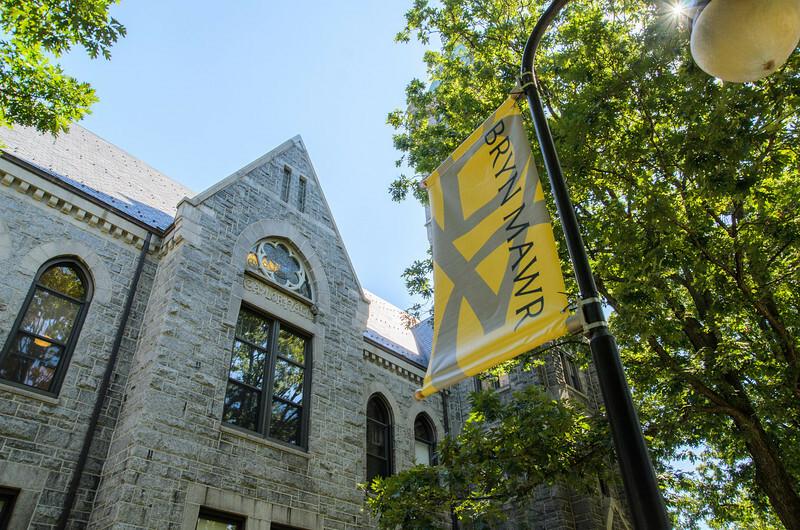 These qualities may help institutions like Bryn Mawr come to a new awareness of the contradictions between our legacies and our current mission which will stimulate, rather than hinder, the tough conversations. Given the Greenfield Digital Center’s commitment to furthering these dialogues while applying and interrogating the digital lens, we are excited to be hosting the second iteration of the Women’s History in the Digital World conference this coming May on Bryn Mawr’s campus. The conference will gather experts, novices, and all those in between to share insights, lessons, and resources for the many projects emerging at the crossroads of history, the digital humanities, and women’s and gender studies. It will be a productive space in which to continue our inquiry into the relationship between digital methods and culture and the social systems on which they act! Our Call for Papers has been posted on the blog and is open until January 16th, 2015. This entry was posted in News and tagged Digital humanities, Feminism, Minority voices, race and higher education, Women's History in the Digital World by Evan McGonagill. Bookmark the permalink.